The City Attorney is the City's general legal counsel and is responsible for advising the Mayor and City Council in all legal matters pertaining to the City. The City Attorney's office is committed to providing outstanding legal litigation services. 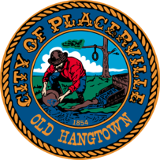 The City Attorney prepares and/or reviews ordinances, resolutions, contracts and other documents, advises on personnel matters, advices the City Council and Staff on new or proposed legislation affecting the operation of City Government and oversees outside special counsel.